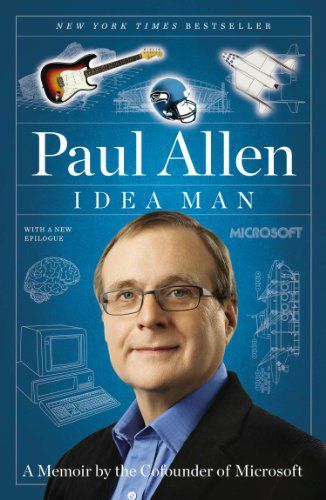 Idea Man, by Paul Allen. Front cover. After reading about Steve Jobs it was interesting to contrast him with Paul Allen, one of the founders of Microsoft. One meeting between the two described in the book has Paul shocked at how rude and abusive Steve Jobs is to one of his employees trying to get a demonstration of a computer going. Steve Jobs was not a technologist like Bill Gates and Paul Allen so he never appreciated how much effort it could sometimes take to get something working. Paul uses the last part of the book to discuss his life after Microsoft, including owning and operating one of the largest privately owned research vessels in the world; with the aim to improve the understanding of the environment. Like Bill Gates he has a significant interest in philanthropy. An excellent and inspirational read.